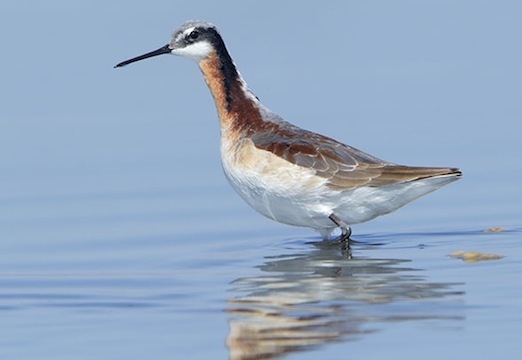 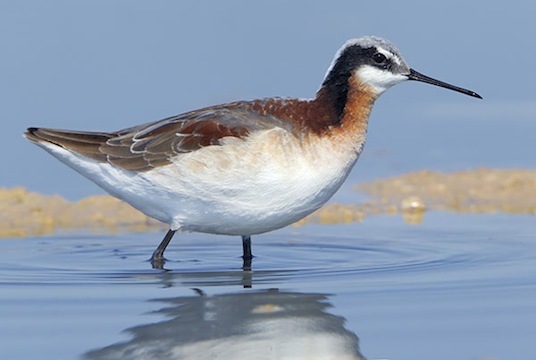 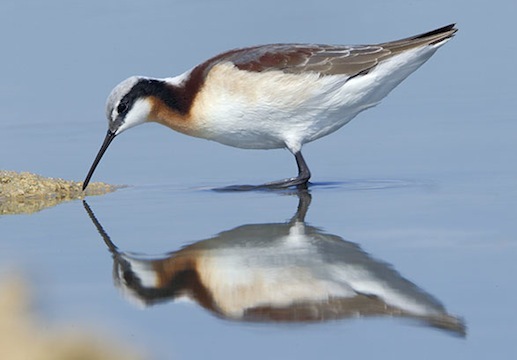 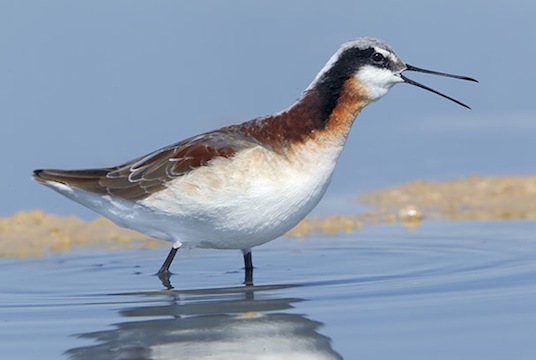 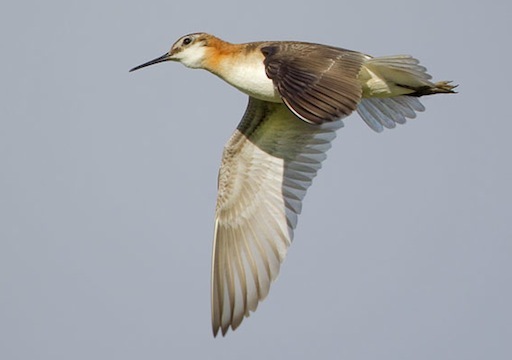 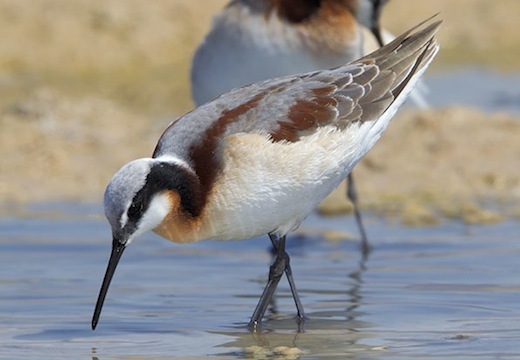 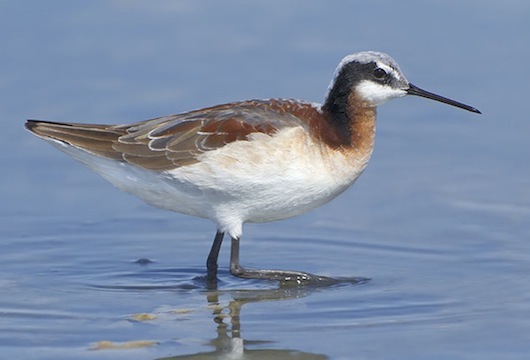 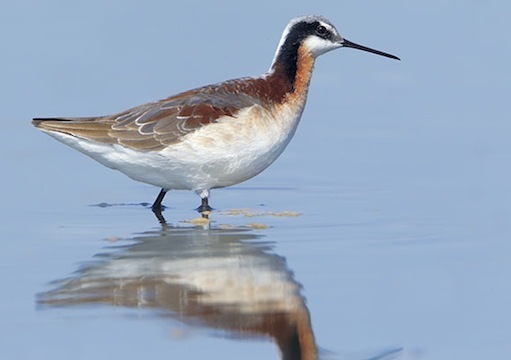 Wilson's phalaropes are the largest of the three phalarope species (the others are the red phalarope and the red-necked phalarope). 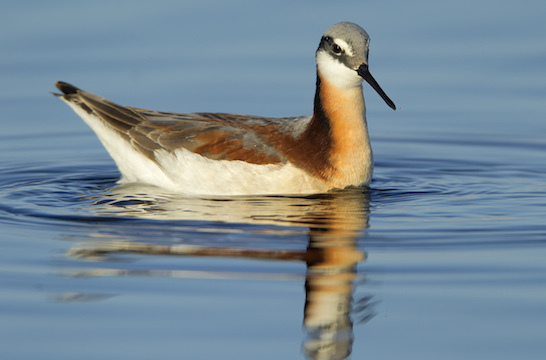 Wilson's phalaropes breed on prairie ponds and wetlands, unlike the other two species which are high-Arctic breeders. 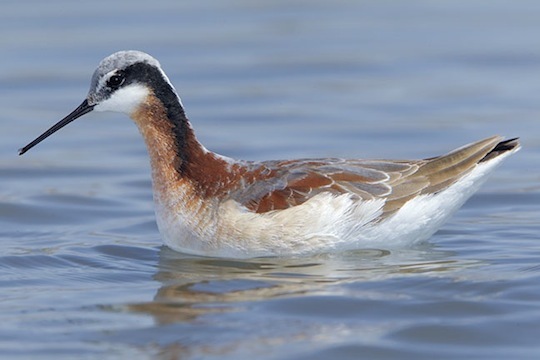 Wilson's phalaropes winter in the central Andes; the others winter far out at sea. 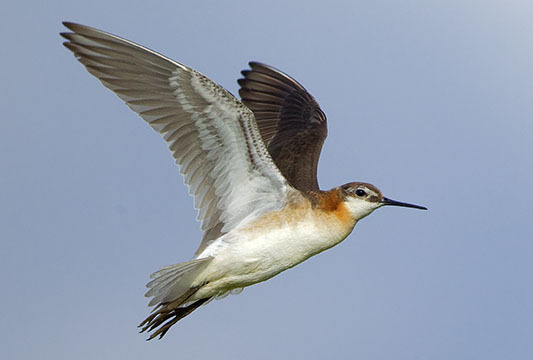 In all three species, females are larger and brighter than males and there is a tendency for polyandry in the genus. 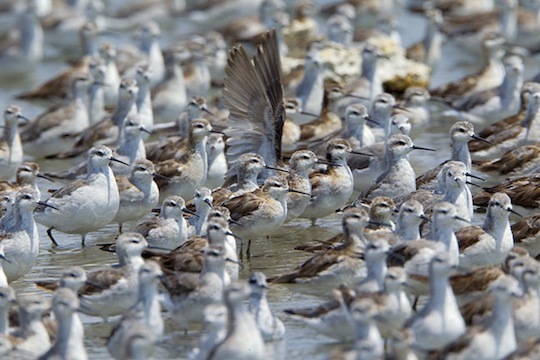 The females shown here are almost completely molted from the gray winter plumage into the bright breeding plumage. 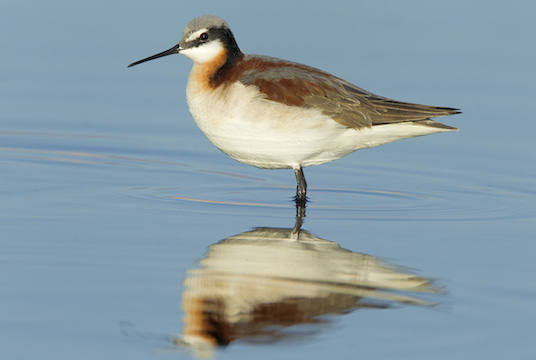 They were photographed at the Salton Sea in southern California (the species often pauses to feed on salty lakes during migration). 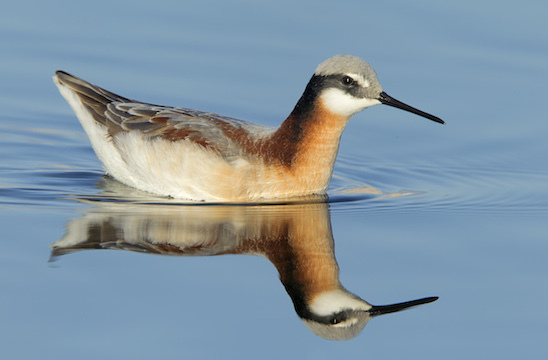 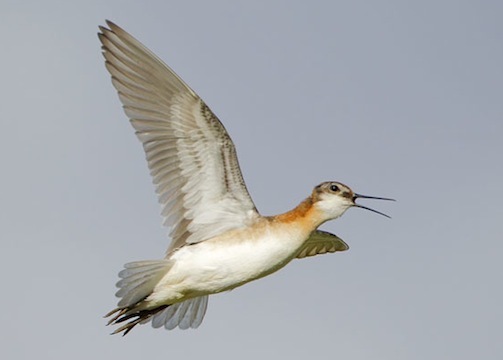 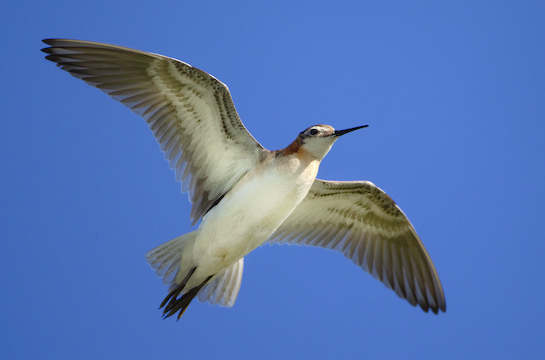 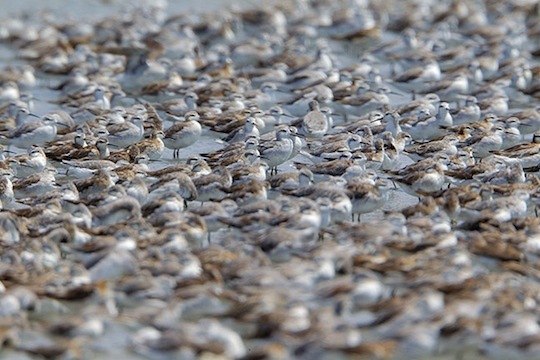 The flying birds (all males) were at Bowdoin National Wildlife Refuge in northeastern Montana; the winter-plumage phalaropes were staging at Mono Lake in eastern California during their long fall migration.